London chain Burger & Lobster has launched a second outpost in Manhattan, and it’s in the same building as the Stephen Sondheim Theater. The restaurant serves only burgers, lobsters, and lobster rolls with salad and fries, and is decorated with hundreds of lobster traps. Burger & Lobster, Stephen Sondheim Theater, 132 W. 43rd St., New York, NY 10036, 917-565-9044. The owners of speakeasy Tanner Smith's and chef Hugo Orozco are behind Midtown’s Vida Verde. The bright, two-story restaurant serves modern Mexican cuisine and ceviche, along with creative cocktails. Vida Verde, 248 W. 55th St., New York, NY 10019, 646-590-2034. 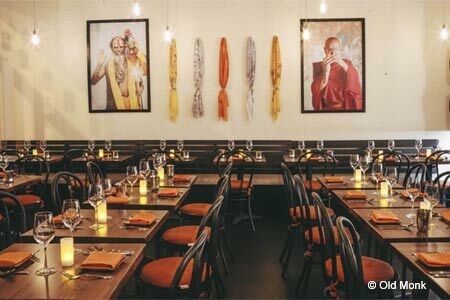 Restaurateur Sushil Malhotra and chef/co-owner Navjot Arora have introduced Old Monk. This modern Indian restaurant serves dishes like free-range lamb in a minty cream sauce and Punjabi power greens. Old Monk, 175 Ave. B, New York, NY 10009, 646-559-2922. Chef Megan Johnson (Gramercy Tavern, Gottino, Casellula) and Jen LaPorta have opened Hudson Jane, an all-day café, restaurant and wine bar in Fort Greene. It is named after the park bench on the corner of Hudson and Jane, where their relationship began. Hudson Jane, 360 Myrtle Ave., Brooklyn, NY 11205, 347-987-3881. Hiroki Yoshitake (Sola in Paris) is the chef behind Midtown East’s modern Japanese restaurant Mifune, which is named after the actor Toshiro Mifune. The menu features a miso foie gras terrine, beef tataki, and sushi and sashimi. Mifune, 245 E. 44th St., New York, NY 10017, 212-986-2800. Sushi Zo Hanare in Midtown offers a $250 omakase in its nine-seat space on 39th Street. The sushi bar also has two outposts in Los Angeles (Sushi Zo, 9824 National Blvd., Ste. C, 424-201-5576; and Zo, 334 S. Main St., Ste. 1106, 213-935-8409), another NYC location (88 W. 3rd St., 646-405-4826) and one in Bangkok (63 Wireless Rd., 66 02 168-8490). Sushi Zo Hanare, 127 E. 39th St., New York, NY 10016, 917-265-8054.
by CHLOE. founder Samantha Wasser is behind the pasta-focused fast-casual restaurant in NoLIta called The Sosta. Ali LaRaia is co-founder and executive chef. The menu features spaghetti pie and mini Nutella sandwiches. Lunch & Dinner daily. The Sosta, 186 Mott St., New York, NY 10012, no phone. Tatsuya Sekiguchi, formerly of Sushi Yasuda, is at the helm at Omakase Room by Tatsu. The tiny eight-seat restaurant offers à la carte selections and an eight-course tasting menu for $120. Omakase Room by Tatsu, 14 Christopher St., New York, NY 10014, 212-367-2067. Hoda Mahmoodzadegan and executive chef Joseph Nierstedt's fast-casual Bushwick restaurant, Molly's Milk Truck, offers hot chicken sandwiches, burgers and homemade ice cream all day and late into the night. For breakfast, choose from pancakes, poached eggs with hash browns, and more. Molly's Milk Truck, Brooklyn, 214 Knickerbocker Ave., Brooklyn, NY 11237, 718-628-3663. 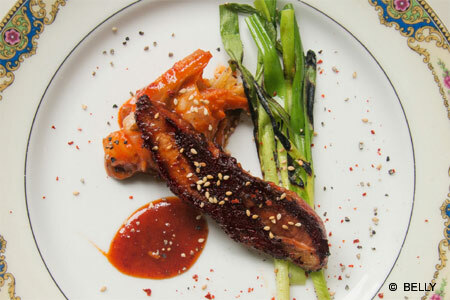 Korean pork belly is the star at Belly, a Brooklyn restaurant from Phillip Cho and Anna Lee. Chef Brian Crawford serves a nine-course bacon "omakase" for $45 featuring dishes like pork belly schnitzel with spicy Korean mustard. Belly, 219 Grand St., Brooklyn, NY 11211, 888-777-0087. Beloved Upper West Side cookie shop Levain Bakery (167 W. 74th St.) has opened an additional location two blocks away. This outpost is a larger storefront, with more seating and longer hours. Other branches are at 2167 Frederick Douglass Blvd. in Harlem; and in the Hamptons at 354 Montauk Hwy., which operates seasonally. Levain Bakery, 351 Amsterdam Ave., New York, NY 10024, 212-874-6080. Owner Mya Zoracki sells cookies, babka, spanakopita and coffee at Feed Your Soul Cafe on Wall Street. Each sale includes a cookie donation to The Coalition for the Homeless. Feed Your Soul Cafe, 14 Wall St., New York, NY 10005, 201-204-0720. Parklife serves Mexican food from Taqueria El Atoradero and drinks in an old printing warehouse in Gowanus. The space boasts a 4,000-square-foot outdoor area, while the menu includes tacos with fillings like carnitas, chorizo, suadero, and poblano and mushrooms. Parklife, 636 Degraw St., Brooklyn, NY 11217, no phone. Claus Meyer's latest addition to his Grand Central eateries is the 65-seat The Restaurant, which serves cheeses, charcuterie, crudo and veggie dishes. 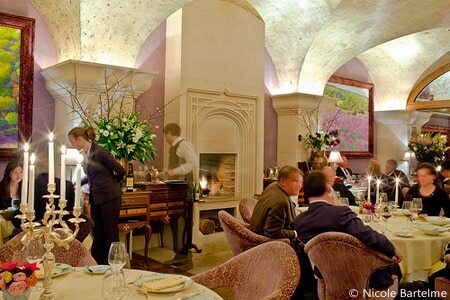 The Restaurant, Vanderbilt Hall West, Grand Central Terminal, 89 E. 42nd St., New York, NY 10017, 646-568-4020. Island Oyster, a beer garden-like spot from the team behind Grand Banks, is the first standalone restaurant on Governors Island. In addition to drinks, expect great views of the Lower Manhattan skyline and New York Harbor. Upcoming are food offerings like a raw bar, lobster rolls, fish tacos and burgers. Island Oyster, The Ferry Landing, Governors Island, New York, NY 11238, 917-268-0200. Chicago's Alinea Group, headed by chef Grant Achatz and Nick Kokonas, has opened The Office NYC in Mandarin Oriental, New York. This speakasy serves up classically inspired cocktails, vintage spirits and bites like caviar, oysters, salmon rillette, foie gras terrine and Wagyu steak tartare. Meanwhile, sister establishment The Aviary NYC is scheduled to open in late Summer 2017. The Office NYC, Time Warner Center, 80 Columbus Cir., New York, NY 10023, 212-805-8800. David Bouley’s eponymous restaurant, Bouley, closed after service on July 31, 2017, to become a private events space. Bouley, 163 Duane St., New York, NY 10013, no phone. Celebrity chef Carla Hall's restaurant Carla Hall's Southern Kitchen in Red Hook is closed. Carla Hall's Southern Kitchen, 115 Columbia St., Brooklyn, NY 11201, no phone. Brooklyn pizzeria Franny's will shutter after August 20, 2017. Franny's, 348 Flatbush Ave., Brooklyn, NY 11238, 718-230-0221. Birds & Bubbles on the Lower East Side is temporarily closed. Birds & Bubbles, 100 Forsyth St., Ste. 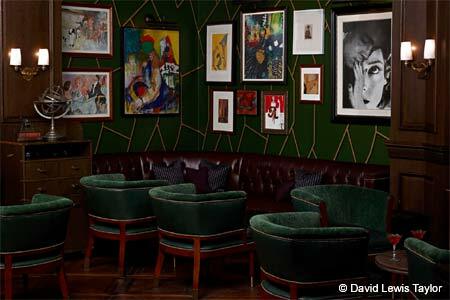 B, New York, NY 10002, 646-368-9240.